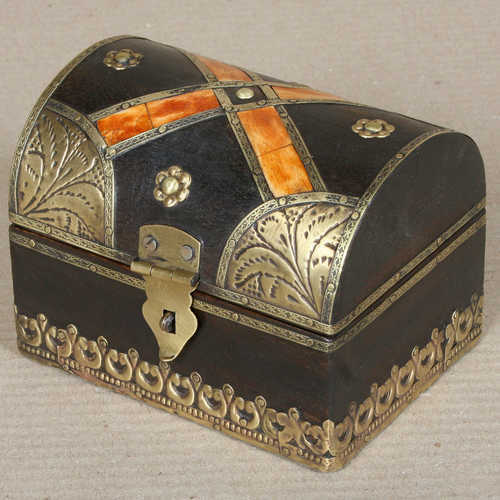 Curved top wooden box with metal and camel bone decoration. 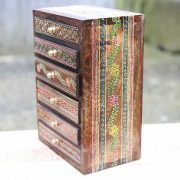 These delightful little wooden boxes have camel bone inlay in a cross design and decorative floral patterned metal work. 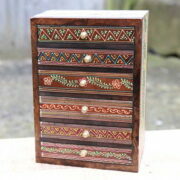 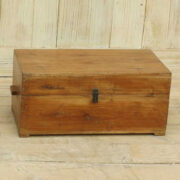 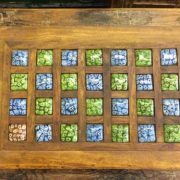 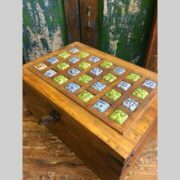 Each has a curved top and small metal clasp for fastening shut the box which is made of dark wood with dark stain.